Since its creation in 1949, NATO has been one of, if not the most, important institutions in the European security architecture. 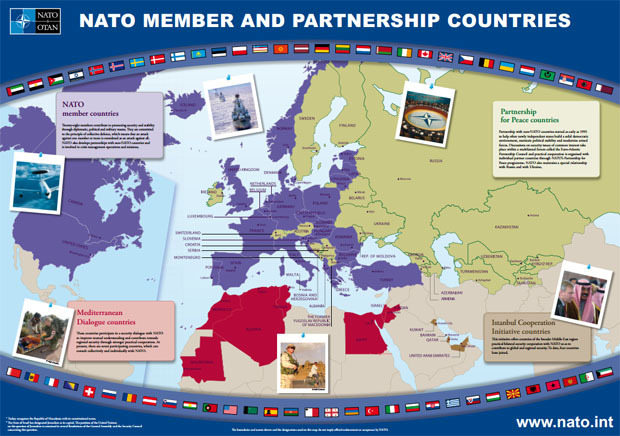 The above diagram of NATO countries is from the NATO website. Click here to open a bigger version. What happened at the end of the Cold War? Why did NATO redefine itself? Why was the appointment of the former Secretary General of NATO controversial? Do you think we still need NATO? Article 5 of the North Atlantic Treaty is the most fundamental part of the NATO alliance. Read here about what this article stipulates.